Success in football transpires from a breadth of different strategies in the modern game. Whether you prefer to launch the ball long or starve the opposition of possession, everyone has their favoured tactical tweaks and setups, and new methods of winning are churned out by fans and pundits alike almost on a daily basis.When a new manager strolls into the dugout of a football club, the spotlight concentrates on his transfer acumen or his eye-catching personal traits, but seldom do we delve into the minor adjustments said ‘gaffer’ makes. On the field, the simplest alteration in a player’s position can make a world of difference. For the connoisseurs of the fine game, it’s the game plan that defines the manager that we really look for; a philosophy that shadows them their entire career and one which will prosper in some environments, but disintegrate in others.Much like a film reflects its director, a team does its coach. So the tactics of the team have to be very astute. We look at five men on the sidelines who have particularly intriguing methods of setting up their sides. To categorise Jose as a tactical specialist may seem laughable given Chelsea’s dire form of late. But the truth is the expectations we now peg the Blues against were set down by the Portuguese in his first tenure way back in 2004. As is his ego, Mourinho’s approach on the field veers away from the norm and the attacking-focused style favoured by managers across the continent. Last season, Chelsea steamrolled to a 13-game unbeaten run at the season’s dawn, but their second half was thought to be less convincing, even though results were maintained. Victories were slender and the game plan defensive-orientated, and many pundits dubbed this approach ‘negative’ and disappointing from such a big club. But for the more perceptive football fan, this strategy embeds exactly what Mourinho is all about. 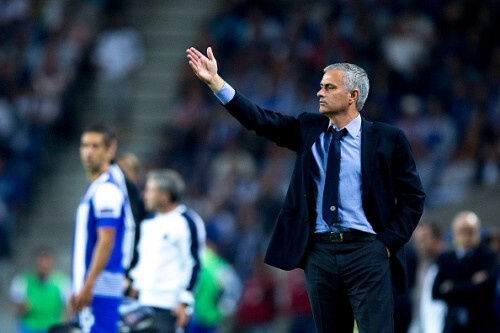 Playing remarkably deep and tracking back are just a couple of the aspects that assemble Mourinho’s setup. The former-Real man’s focus lies with conceding possession and, thus, gradually eroding the opposition’s attacking armoury, with the hope that the more creative among his crop will spring a surprise at the other end. Mourinho prefers the 4-2-3-1 approach, because the two holding midfielders provide a superb shield for the back-line, abiding by the die-hard defensive attitude, while the men on the flank can utilise their pace, practically kissing the touchline, to initiate the all-important counter-attack. It may be relatively mundane at times, but who cares if you get whipped in the statistical department if your team has the discipline to grind out 1-0 wins on a regular basis? Summing up this man’s brilliance in a mere few paragraphs seems like a Herculean task as, in many respects, Pep Guardiola has revolutionised football. The aforementioned Mourinho’s approach couldn’t be further from the tactical strategy Guardiola has pioneered. To gain insight into the Spaniard’s philosophy, you only have to glance over the statistics. His forwards would often commit more fouls than his defensive line, a testament to the pressing approach adopted high up the field while the most noticeable aspect is his insistence on dominating possession. As a player, Guardiola flourished under the management of Johan Cruyff especially, who deployed him as the fulcrum of Barcelona’s midfield. It was where he ascertained the importance of ball retention. 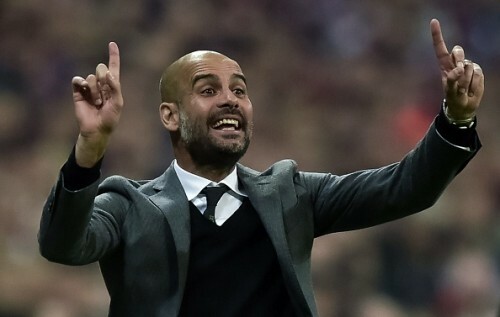 Moving from Barcelona to Bayern Munich, albeit via a one-year sabbatical, Guardiola’s tactics were to come under magnification, but he has since highlighted his ability to adapt; something he showed sparks of during his time at the Camp Nou. For example, the radical evolution of Lionel Messi demanded he be played in a more effective role than out on the right and this alerted Guardiola to cement the Argentine in the False 9 role. Tiki-taka was all very well and good at a club like Barcelona, but Bayern Munich posed Germanic traits that lacked Spanish fluency and focused on efficient bursts and bare physicality. Leave it to the Barcelona youth product, though, to completely transform the Bavarians into a side which starve the opposition of the ball, gain a numerical edge in nearly every game they play and roll over opponents for fun. Remember this man? The prodigy expected to follow in the footsteps of Mourinho and have a barnstorming career in South-London saw his prospects as a world-class coach somewhat shattered when he took over the reins at Chelsea and Tottenham respectively. Now, though, things are different. 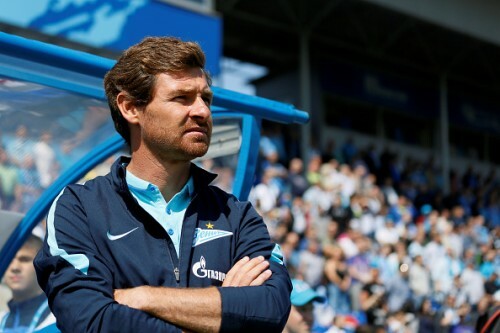 Having rebuilt himself since joining Zenit Saint Petersburg in 2014 (whom he claims to be leaving at this season’s close), the Portuguese boss has accumulated greater tactical know-how through experience in the Russian League and via regular contention on the European stage. The heart of AVB’s philosophy, in some respects, orchestrated his downfall in the Premier League. He places focus on an incredibly high defensive line which, against the minnows of the Portuguese and Russian leagues, was rarely tested but, amidst the intensity and attacking prowess of England’s top-flight, such a tactic was frequently exposed. As with many a modern day manager, Villas-Boas favours the 4-3-3 set-up. At Spurs and Zenit, this entailed two holding midfielders while, at Chelsea and Porto, he went with the single midfield pivot. Villas-Boas loves attacking football and encourages the full-backs to ruffle the opposition’s feathers by regularly advancing down the flanks. On the left especially, this enable the wingers to tuck inside and, over time, the strategy of inverted wingers has transpired into AVB’s tactical DNA. Zonal marking, a sturdy back four and creative wide men eager to flood the box comprise the attitude to the game up-and-coming André Villas-Boas is desperately looking to try and play. One would have thought Liverpool had just been crowned European champions when the ecstasy and jubilation regarding Klopps arrival was broadcasted across the continent. But, in all fairness, the Anfield faithful have the right to be excited. Gegenpressing. A linguistically challenging, over popularised piece of jargon, or what those bred to follow the traditional English strategies of the game may think. On the contrary, this is the tactic which Klopp has spearheaded and which has enabled his Dortmund to compete with the big guns in the Champions League. 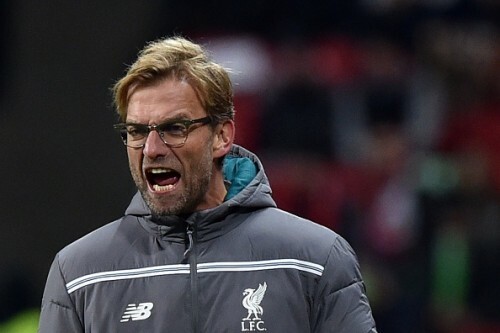 It involves regaining possession immediately after losing it, as Klopp himself claims this is the time the opposition is at their most vulnerable. Concentration is lost and focus still lies with having won the challenge, so picking the ball off the individual is easier than ever. Many feel this is the reason Klopps transition into the Liverpool dugout will be so smooth. The 2013/14 side that came within a sniff of the Premier League title utilised intense pressing and, much like the 48-year-old in his time at Dortmund, used this form of defence to attack. Two, maybe even three,players gang-up on the opposition player, restricting movement and suffocating him of space to disperse the play. As a result, possession is won and a counter-attack can start high up the field, creating space which wasnt initially there. Expect to see this translate into Liverpools game more and more, as well as the odd spark of genius when it comes to set-pieces, another area where Klopps intuitive nature flourishes. A pragmatic coach with an impressive dossier, Rafael Benitez is an obscurity on this list because, in many respects, he is a jack of all trades. Having managed the likes of Valencia, Liverpool, Napoli and, now, Real Madrid, the Spaniard has always looked to tailor his playing style to adhere to the qualities his players possess. Benitez goes by the book. When his team is under pressure, he favours the long ball. Yet, when the opposition defence is playing deep, he prefers to circulate possession. Simple enough, but there have been occasions where he has got it wrong. 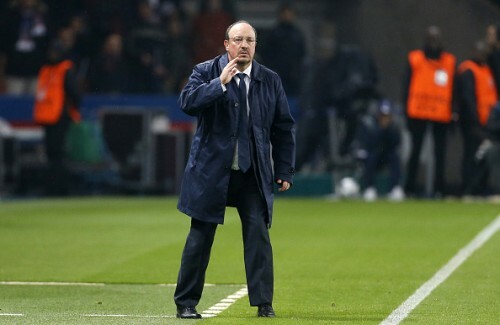 Despite the multitude of mouth-watering talents at his disposal, Benitez has been labelled as playing negative football at times this season, accused of ‘hanging onto the ball’, when his team has a lead, rather than driving forward and killing off the match. Excuse the cliché, but arguably Benitez’s best ‘tactic’ as a coach is the ability to instil belief into his players. In his time with Valencia, he made the players think they were world-beaters and assured them that building from the back would get them success – a first Spanish league title in 31 years for Els Taronges indicates that is exactly what it did. Meanwhile, at Liverpool he relied on individuals such as Xabi Alonso to anchor down the midfield, and Fernando Torres to chip in at the other end, which allowed the Reds to finish as close to Premier League victors as ever before.